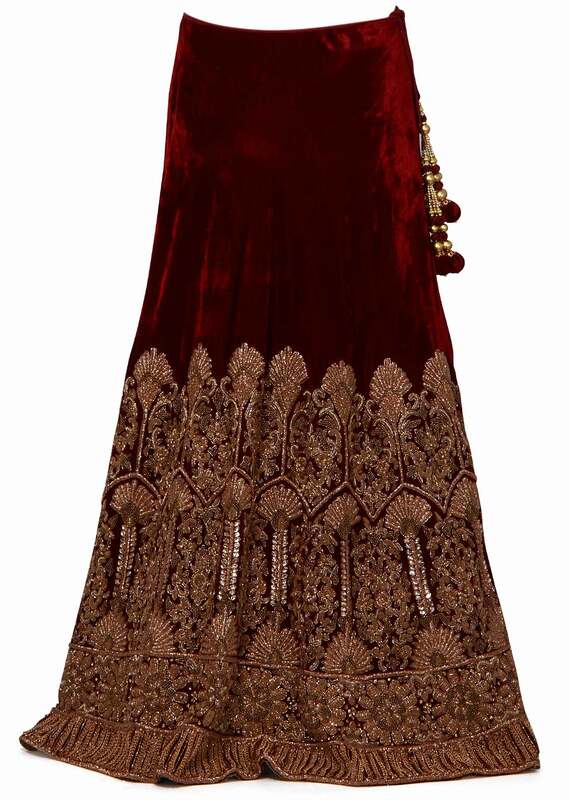 Maroon lehenga featuring in velvet. Its embellished in zardosi embroidery. Matched with embroidered corset blouse.